Jim Grant: Gold is cheap but gold stocks are even cheaper. There are also USA housing opportunities. 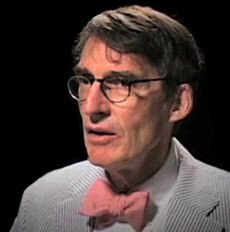 Jim Grant, the publisher of the Grant’s Interest Rate Observer says that USA policymakers are the prolonging symptoms of the recession and that Fed should learn from the 1920-21 Depression. FED got out of the central banking business, but now is in the central planning business. It manipulates all assets and advocates risky activities. FED’s QE will leads us to risky assets and of course the economy will improve in theory, but the theory says nothing about the true functions of the market which is to find value. This is in his opinion the main idea of capitalism. Prices tell us something about nature of value but when it is manipulated it is hard to do rational finds that are long-term stable. All investors live and work in a kind of mirrors; all is distorted by Central Banks manipulations …. We can’t be dogmatic about deflation or inflation … We need assets with margin of safety …. Housing in most cities in USA is very cheap; we find value in residential and single family houses … that’s where we are looking at now. The credit and banking system is corrupt and corrupting values and prices in China. China will have hard landing but that is not the end of the world. Even though China’s growth will go down, it could mean little to USA. It only means much to the “China’s trade”. I like it. Gold has more upside due to CB activities. The gold mining shares are even more valuable than the metal.